It’s not always easy to choose an organic lifestyle but I’m trying. I’ve even taken up juicing and I’ve noticed the benefits almost immediately. We all worry about the effects different pesticides can have on us and using more vegetables and fruits in my day to day choices just seemed practical. When you begin to do your homework on organic it can be overwhelming.In the simplest terms, organic foods are grown without the use of pesticides, synthetic fertilizers, sewage sludge, genetically modified organisms or ionizing radiation. Animals that produce meat, poultry, eggs and dairy products do not take antibiotics or growth hormones. But when it came to my ice cream I have not been as discerning. I have not worried about buying organic, sugar free, I’ve just gone for the gusto so to speak and I love Vanilla! It’s been hard to break this bad habit and I have not been successful! 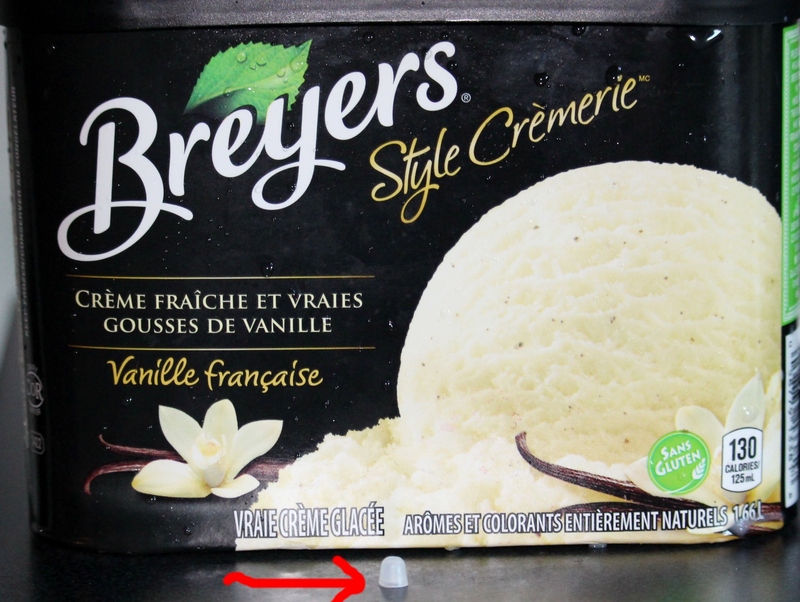 Tonight I had a bowl of my favorite Breyers ice cream and discovered a plastic nozzle. I bit into it hard and thought at first it was just crystallized ice cream but instead when I spit it out it was a piece of plastic! It really bothered me that I take such care with most of what I eat and one of my favorite foods that I have been lax with came back to bite me in the worst way! But thank you in the same way for now I cannot think of eating ice cream again without associating it with plastic bites. What a way to beat my guilty pleasure! This entry was posted in love and poetry and tagged Breyers Ice Cream, guilty pleasures, organic, plastic. Bookmark the permalink. 2 Responses to THERE’S A WHAT IN YOUR ICE CREAM? Ugh! That’s just nasty Estee! Just imagine what we’ve all eaten at one time or another and never known. Park the ice cream, I’m with you. The complexities of our food these days are more than horrific Estee. One would have to wonder what they are using the plastic nozzle for? Perhaps to dab the vanilla bean in. We shall have to find you another guilty pleasure of safer measures. 😉 Take care my dear.